Good Wine, Good Food… Great Ride. Napa Valley wine tours you’ll love. For over 50 years, Napa Valley has been known as the birthplace for some of the world’s greatest wines. Nearly 4.5 million people travel to this region annually. They visit incredible wineries, dine at mouth-watering restaurants, and immerse themselves in beautiful surroundings. You can too. And when you book a limo wine tour through Stellar Transportation, we’ll help you do it right. 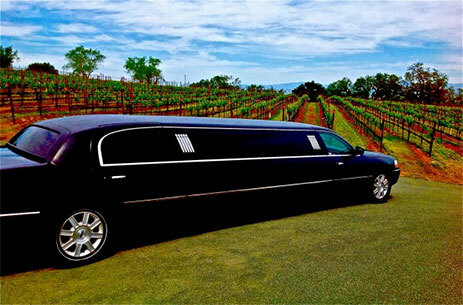 We offer a variety of wineries for you to choose from when planning your limo tour of Napa Valley. If you don’t wish to choose, we have a planned tour available which includes several of the most well-known and firmly established wineries. Relax completely while enjoying the beautiful scenery Napa has to offer, and broaden your palate by tasting a variety of wines at their welcoming tasting rooms. EMAIL US TODAY to schedule your Napa Valley tour. There are also many fine restaurants in the Napa Valley which offer amazing food and, of course, amazing wine. Make a full day out of your Napa Valley adventure with limousine tours of the vineyards and wineries and finish up with a fine meal. Sample well-prepared, beautifully presented meals made from the freshest locally grown, often organic, seasonal ingredients and paired with the perfect locally produced wine. You will find an abundance of French, Spanish, Thai, Italian, Indian, American, seafood and sub food in Napa Valley. You may want to dine in for breakfast or eat near a fireplace for dinner. It’s all here just waiting for you to take it all in, and we’re here waiting to take you there. Want to make it a long tour? No problem, since Napa Valley’s lodging options are numerous and diverse. You’re sure to find the perfect spot for a brief overnight stay, or a home base that will allow you to linger.